Can a high school student apply directly to the Charleston Bridge Program? No. Students interested in participating in Charleston Bridge must apply to the College of Charleston for freshman admission. 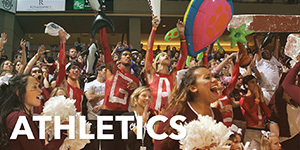 The College’s Office of Admissions will offer the program to select applicants from South Carolina high schools. Are students eligible to apply for financial aid? Yes. Students are advised to submit the FAFSA to Trident Technical College, as well as the College of Charleston, before the program priority deadline of March 1st or as soon as possible thereafter. The FAFSA will be accepted after the priority deadline. Financial aid for the fall semester will be issued from Trident Technical College and for those students successfully transitioning, from the College of Charleston in the spring semester. To adequately plan for a full year of enrollment, students should submit their FAFSA to both institutions. FAFSA codes are: 004920 (Trident) and 003428 (CofC). Because of the unique nature of the Charleston Bridge Program, students (if eligible) are able to secure financial aid for Trident Technical College tuition and fees, program fees and College of Charleston housing and meal plans through their financial aid application to Trident. Are students required to live on campus and/or have a meal plan at College of Charleston? Yes. Students accepted into Charleston Bridge are required to have a Freshmen Resident Meal Plan and live on the College of Charleston campus during the fall and spring semesters. 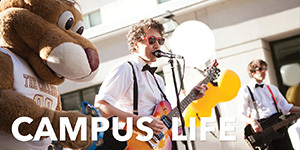 Students will select from Berry, Buist, Craig or Liberty residence halls. NOTE: All fees listed in this section are subject to change at any time. How are Charleston Bridge room assignments made in the residence hall? Charleston Bridge students will only be assigned roommates that are also participating in the Charleston Bridge program. Charleston Bridge students will be assigned to Berry, Buist, Craig or Liberty residence halls. A request for a roommate not participating in Charleston Bridge will not be approved during the fall semester. Are students allowed to bring a car? Parking in downtown Charleston is extremely limited. Students may certainly bring a car, but where they park the car will be their responsibility. They will not, however, be eligible for on-campus parking until such time as they have 60 or more credit hours on file with the College of Charleston Registrar’s Office. Where and when will classes be held? All Charleston Bridge Program classes are taught by Trident Technical College faculty. 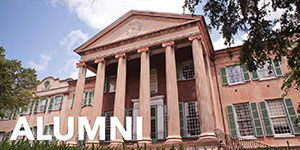 Classes will be held on the College of Charleston’s downtown campus. Course times will vary, but the majority of courses will be available between 8:00 a.m. and 5:00 p.m.
Will students have classes with Trident Technical College students who are not a part of the Charleston Bridge Program? No. Students in the program will only have classmates who are also participating in the Charleston Bridge Program. Will classes follow Trident Technical College or College of Charleston’s academic calendar? 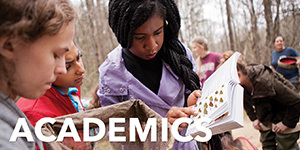 Classes will be offered on the College of Charleston Bridge Academic Calendar which can be found in the Charleston Bridge channel on the Academic Services or Faculty tab in MyCharleston. Students in the Charleston Bridge Program can view the exam schedule on the Charleston Bridge channel in MyCharleston or consult with their instructor. What is the average class size of courses offered in the Charleston Bridge Program? Most classes will enroll between 20 and 30 students. Will students have a Trident Technical College or a College of Charleston official transcript for their academic work in the fall semester? All students will have an official transcript from Trident Technical College for their fall academic work. When will students register for their Trident Technical College courses? Students will be registered for their TTC classes and receive their fall course schedule prior to attending orientation. When will orientation be held? Orientation for Charleston Bridge students will be held July 19, 2019. Family participation is optional. Students participating in Charleston Bridge will receive information about the orientation from the College of Charleston’s Office of New Student Programs. Please note that morning activities will occur on the Trident Technical College campus in North Charleston and afternoon activities will occur at the College of Charleston downtown campus. The deadline to register for orientation is May 1. Get more orientation information. Will Charleston Bridge students be able to take Trident Technical College courses online or at one of the Trident Tech campuses in the Charleston region? The Charleston Bridge Program is a residential program, with students registering for Trident Tech courses offered on the College of Charleston campus and taking advantage of the academic resources of the College of Charleston. In extraordinary cases, students may request permission to take other Trident Tech courses. Approval of such requests is not guaranteed. Is the $300 deposit to secure a space in the Charleston Bridge Program refundable? No. The deposit is not refundable. The $300 will apply towards the student’s housing and tuition expenses. Is there a program fee for participating in the Charleston Bridge program? Yes. The Charleston Bridge Program fee is $1,450, subject to final approval by the two institutions. Fees for each academic year are published annually by the College of Charleston and by Trident Technical College. Yes. Students are advised to submit their FAFSA to Trident Technical College, as well as the College of Charleston, before the program priority deadline of March 1st. The FAFSA will still be accepted after the priority deadline. To adequately plan for a full year of enrollment, students should submit their FAFSA to both institutions. FAFSA codes: 004920 (TTC) and 003428 (CofC). Are students eligible for South Carolina state scholarships? Yes. View the State Financial Aid details. Can students who do not meet College of Charleston admission requirements remain in College of Charleston residence halls for the spring semester? No. Students will not be allowed to remain in residence halls and will no longer have access to College of Charleston support services or extracurricular activities. Can students who do not meet College of Charleston admission requirements continue in Trident Technical College classes for the spring semester? Yes, with the approval of Trident Technical College. The College of Charleston recommends that students who do not meet the requirements to continue at Trident Technical College for the spring semester, whether in face-to-face or online courses. 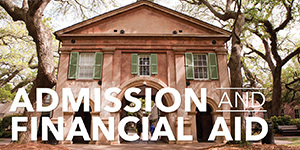 Students are eligible to apply for admission to the College of Charleston again for the fall semester after completing additional coursework. When does the fall bill have to be paid? The fall semester bill must be paid in full to Trident Technical College no later than August 1. Students will not be able to move into the College of Charleston residence hall if there is an outstanding balance with Trident Technical College. Be sure to make any financial aid arrangements that may be needed before payment is due. More information can be found here. Contact Trident Technical College with questions regarding billing and financial aid. During the summer Trident Technical College will contact students participating in Charleston Bridge and enroll students in fall courses. Course options are limited since a specific set of courses are designated for Charleston Bridge students. Charleston Bridge course options include: Academic Writing, American Government, Anthropology, Art History, Astronomy, Biology, Business, College Algebra, Contemporary College Math, Philosophy, Probability and Statistics, Psychology, Public Speaking, Spanish, Western Civilization, and World History. Do I have to complete the student success seminar? Yes, a requirement of all Charleston Bridge participants is the completion of the Charleston Bridge Student Success Seminar (CBSSS). The seminar focuses on getting to know the campus, understanding program requirements, becoming familiar with academic best practices, using campus resources and preparing for the next semester. The seminar instructor and peer mentor will meet with students during the fall semester. Attendance at the seminar meetings is mandatory - student attendance is not optional. Online documents for each module and the assignment drop box will be available on the first day of fall classes through the MyCharleston student portal and logging into OAKS. How will I know if I am admitted from spring? 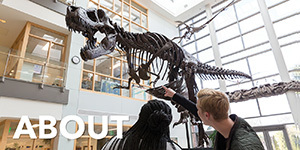 Once final grades post, students meeting all program requirements will be notified by email by the Office of Admissions offering spring admission. Spring course registration will occur at the College of Charleston in December. Admitted students will be notified by the Office of New Student Programs with date and time details.